Built in 1823, the Ocracoke Light is the oldest lighthouse in North Carolina that is still in continuous service. In fact, the Ocracoke Light is the second oldest lighthouse in the United States in continuous service. The current light has 8,000 candlepower and can be seen from 14 miles out to sea. 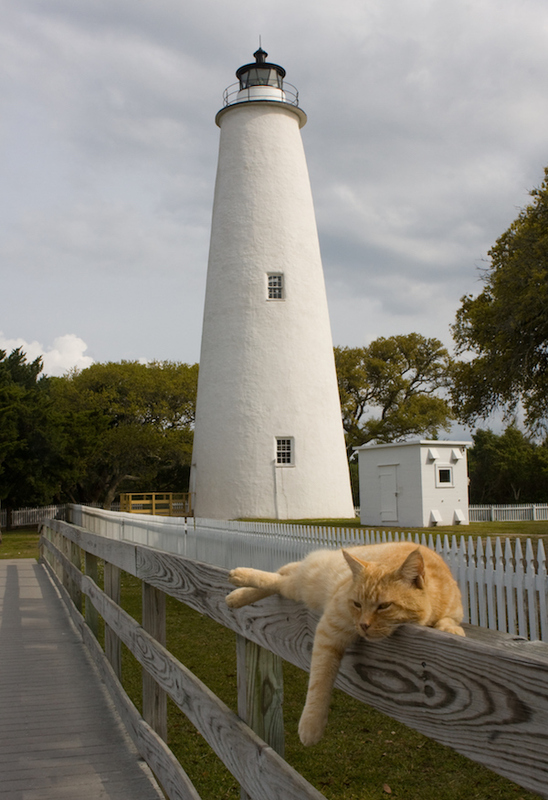 The Ocracoke Light is the first thing many visitors want to see when they come to Ocracoke. One of the most frequent question is, "How do you get to the lighthouse?" The answer is easy, the Ocracoke Lighthouse is located on Lighthouse Road. A walkway takes you past the picturesque lighthouse keeper’s house and to the base of the lighthouse. You cannot climb the Ocracoke Lighthouse. The base of the lighthouse is open during National Park Service tours in the summer and during the 4th of July celebration. When was the Ocracoke Light built? Construction on Ocracoke Lighthouse began in 1798. Final construction ended in 1813. Where was the Ocracoke Light constructed? The Ocracoke Light was built in Hyde County, on Ocracoke Island, on North Carolina's Outer Banks. Who built the Ocracoke Light? The Ocracoke Light was constructed and designed by Noah Porter an architect from Massachusetts. How big is the Ocracoke Lighthouse? The Ocracoke Light stands 75 feet tall. It is 25 feet wide at its base and 12 feet wide at its peak. 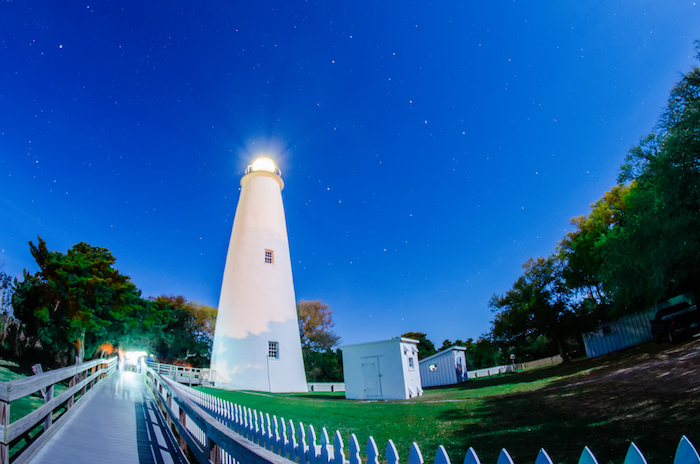 Experience North Carolina History at the Ocracoke Lighthouse!